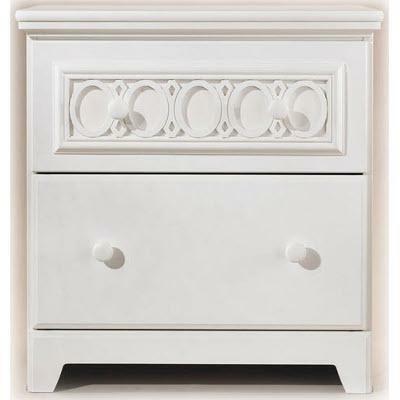 From tot to teenager, the Zayley nightstand will grow with a child. 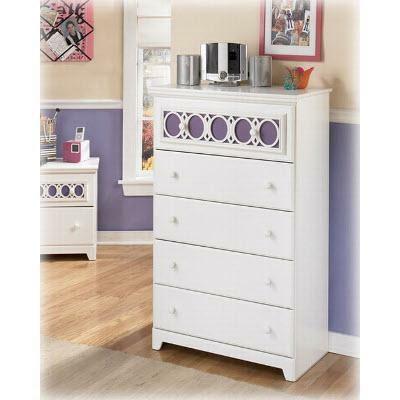 Featuring a soft white finish, the front on the 1-drawer nightstand has interchangeable panels, adding a bright spot of color. Or the white can stay in place for a grown-up look. Additional Information Optional clear insert panels enable customers to customize the set with pictures or other materials; Side roller glides for smooth operating drawers.